Wow! Brilliant. Can't wait to go shopping! People are so going to abuse these, myself included. I might be the only one who has noticed so its worth pointing out. The voucher will only be issued after your second visit when you keep your original receipt. I might be the only one who has noticed so its worth pointing out.The … I might be the only one who has noticed so its worth pointing out.The voucher will only be issued after your second visit when you keep your original receipt. That didn't click the first time looking at the form, still isn't 100% clear. We bought new kitchen worktops at IKEA last Thursday, does that mean we can take that receipt and this form into IKEA and they will issue the £25 voucher which can then be spent on the 15th/16th? where did you notice this? That didn't click the first time looking at the form, still isn't 100% … That didn't click the first time looking at the form, still isn't 100% clear.We bought new kitchen worktops at IKEA last Thursday, does that mean we can take that receipt and this form into IKEA and they will issue the £25 voucher which can then be spent on the 15th/16th? Yes, they should do otherwise there going against there own t&c even though they aren't that clear. Actually it's the worst "coupon" ever. Not how much there giving just that nothing's clear. good spot, i overlooked that. i wonder if theres a mimumum spend? Excellent! Thanks :)Absolutely no minimum spend? Just rang ikea Coventry, you have to spend £125 to receive the £25 voucher. Just rang ikea Coventry, you have to spend £125 to receive the £25 v … Just rang ikea Coventry, you have to spend £125 to receive the £25 voucher. Well it would just be weird if other stores did this to celebrate there 5th Birthday when it isn't. I may be missing something here, but couldn't you buy £125 worth of goods, take the receipt to Ikea and get your voucher, and then return the goods you bought originally? I may be missing something here, but couldn't you buy £125 worth of … I may be missing something here, but couldn't you buy £125 worth of goods, take the receipt to Ikea and get your voucher, and then return the goods you bought originally? That's not in the terms and conditions of the voucher though, is it? That's pretty stupid of IKEA to put the voucher in its current form on their website. I guess you could if you wanna go through all that. Still no guarantee, they may want the voucher back. My SIL went today and spent £140. She got a voucher but tbh they wrote on it the amount spent, date and another reference in the middle box. No signature.... I don't see how this will be policed adequately to stop people filling a voucher in themselves. The voucher doesn't state receipt to be brought in at point of redemption and nor was she told that. My SIL went today and spent £140. She got a voucher but tbh they wrote on … My SIL went today and spent £140. She got a voucher but tbh they wrote on it the amount spent, date and another reference in the middle box. No signature.... I don't see how this will be policed adequately to stop people filling a voucher in themselves.The voucher doesn't state receipt to be brought in at point of redemption and nor was she told that. It was the one online printed on white paper. I've just rang their central call centre who then rang ikea Coventry direct and she confirmed that they are actually giving £25 vouchers to spend with no minimum spend at all. It's just to celebrate their birthday. I've just rang their central call centre who then rang ikea Coventry … I've just rang their central call centre who then rang ikea Coventry direct and she confirmed that they are actually giving £25 vouchers to spend with no minimum spend at all. It's just to celebrate their birthday. 02476 234059 ikea Coventry customer service, you might find a different story. I rang Saturday and spoke to manager. I was told you have to spend £125 and you give the coupon printed from the net in return for a £25 voucher to be used on specified dates in December. Went to IKEA in Coventry and they would not honor the voucher. Customer services said there are so many that they cannot take anymore. @col231...the voucher says its valid on 15th & 16th December only though. I am confused. Went to IKEA in Coventry and they would not honor the voucher. 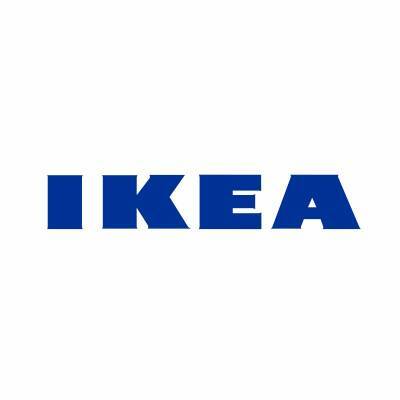 Customer … Went to IKEA in Coventry and they would not honor the voucher. Customer services said there are so many that they cannot take anymore.Heat added anyway!! How can they honour the voucher? It's not even 15/16th December yet! Unfortunately I cant download the voucher. Oops something went wrong!The page you are looking for can't be … Oops something went wrong!The page you are looking for can't be found.Maybe you can find what you are looking for by entering a keyword in the search above or by clicking on the 'Home' link below. Could anyone send me one via e-mail, please or attach it to the post, please. Unfortunately I cant download the voucher.Could anyone send me one via … Unfortunately I cant download the voucher.Could anyone send me one via e-mail, please or attach it to the post, please.Thanks! Would love a copy of this voucher as I, too, cannot download. Anyone got a link or a pm with it? There's nothing on the Ikea Cov site about this, and it's a little off if people make the visit and they don't honour it. Anyone know if they will, in truth, do so? Voucher posting newbie! This is ilakast first voucher post. Help out by leaving a posting tip or just to show your appreciation for their contribution.